Auckland, New Zealand & Rome, Italy (April 10, 2018) – Vista Entertainment Solutions (Vista Cinema), the leading provider of cinema management software for the global cinema exhibition market, has completed the rollout for its first customer in Italy, The Space Cinema, which operates 36 cinemas with 362 screens. The Space Cinema is part of Vue International. The Space Cinema is a leading cinema operator in Italy with 36 multiplex cinemas and 362 screens. Space own five out of the top ten highest grossing cinemas in Italy including the No.1 grossing cinema in the Italian market – Parco de Medici. 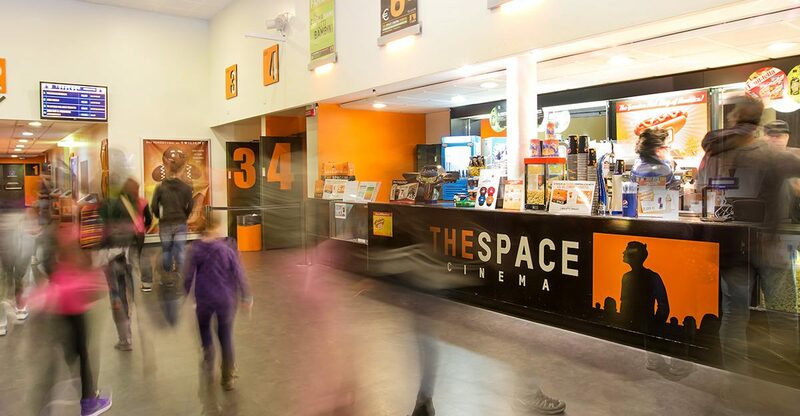 The business is a leader in a fragmented cinema market.At the end of 2014, The Space Cinema was acquired by Vue Entertainment International. Vue International is one of the world’s leading cinema operators, managing the most respected brands in major European markets and Taiwan, spanning ten countries, 212 sites and 1,902 screens. The group has leading positions in the United Kingdom, Ireland, Germany, Denmark, Netherlands, Italy, Poland, Latvia, Lithuania and Taiwan. From its inception in May 2003 Vue International has grown organically and through strategic acquisition to deliver a premium out-of-home entertainment experience by combining the best content, with the best technology in the best environment. Vista Group International (Vista Group) is a public company, listed on both the New Zealand and Australian stock exchanges (NZX & ASX: VGL). The Group provides software and additional technology solutions across the global film industry. Cinema management software is provided by Vista Entertainment Solutions (Vista Cinema), the core business of the Group. Movio (authority in moviegoer data analytics), Veezi (cloud-based SaaS software for the Independent Cinema Market), movieXchange (connecting the movie industry to simplify the promotion and sale of movie tickets), Maccs (film distribution software), Numero (box office reporting software for film distributors and cinemas), Cinema Intelligence (business intelligence solutions), Powster (creative studio and marketing platform for movie studios) and Flicks (moviegoer ‘go to’ portal for movie information) provide an innovative range of complementary products across additional film industry sectors, from production and distribution, to cinema exhibition through to the moviegoer experience. Vista Group has offices located in New Zealand (Auckland HQ), Sydney, Los Angeles, London, Shanghai, Beijing, Mexico City, South Africa, the Netherlands and Romania.